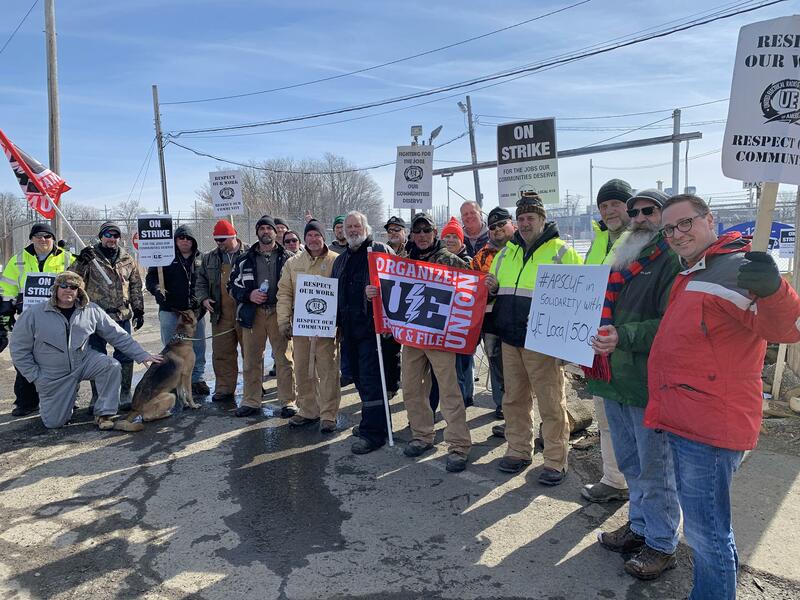 Joining the picket line with the members of UE Local 506, members of Association of Pennsylvania State College and University Faculties (APSCUF) show their support at the Lawrence Park plant. It is easy to forget what unions have done for us. We now have age restrictions on laborers, so that children are not exploited. We have reasonable working hours and overtime pay so that we are not coerced into working seven days a week or dangerously long hours simply to keep our jobs. We work in places with safety oversight, so that even more dangerous jobs hold working conditions as safe as possible. Given that all of these protections are in place, it is not surprising that union membership has declined in the past few decades. Why support a union when our working conditions are so much better than they were before unions came into existence? The answer is simple: Despite the progress made for American workers in the establishment of labor protections, we fight today for decent wages – with benefits such as health insurance and retirement savings – in part because the responsibility of those benefits has shifted from employers to employees, further reducing the income necessary to run a household and raise a family. When my union went on strike in October 2016, one of the main reasons was that the State System of Higher Education wanted to set up a two-tiered pay structure of employees. This would have meant that current employees would have kept our salaries and work conditions, but new employees would have been hired for lower wages with far less control of the content, size, and quality of their classrooms. The quality of workplace conditions, whether in the classroom or on the factory floor, has a direct impact on our quality of life outside of the workplace. We were asked then to work side by side with people who would have been paid less to work more with less control over the quality of that work, just as the members of the United Electrical, Radio and Machine Workers in Erie are being asked to do today. It's a common equation that just doesn't add up. We are union members because we believe in protecting all of our members, whether they are current employees or prospective ones. This is why we have a reasonable wage and access to benefits under the terms of our contract for temporary faculty. Ours is the only faculty union among the colleges and universities in the Erie area. Take the time to ask faculty at some of these other institutions what they are paid, especially part-time ones. Unions work to ensure a decent living for all workers, not just their members. If workers in non-union workplaces do not meet unreasonable expectations, they risk losing their jobs. The biggest complaint that I hear about unions is that they protect all workers, that it is difficult to fire anyone. It is true that it is more difficult to fire a union worker. If a person is not meeting the job requirements, the employer must provide evidence of that deficiency and must follow clear procedures to separate the employee from the company. These procedures are clearly laid out in the collective bargaining agreement that was negotiated between the union and the company. It is a hallmark of a healthy working relationship. We have contracts for nearly every business transaction in our lives. Why wouldn't we want one for the most important business relationship we make? 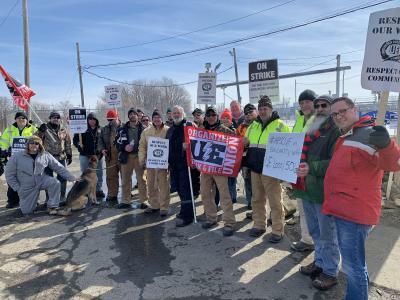 When I went to show my union's support for the UE's job action at the Wabtec plant, I was asked what I have in common with blue-collar workers. My response was simple: we are labor and that means that we have everything in common. Elisabeth Joyce is a professor of English and a member of the Association of Pennsylvania State College and University Faculties, which represents faculty and coaches at the 14 universities of the Pennsylvania State System of Higher Education.